Not only is avocado good for your morning toast, now it’s good for your morning snuggles too. 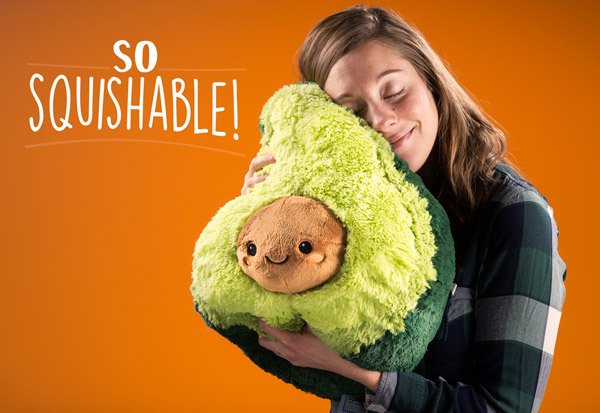 The Avocado Stress Relief Toy is made of luxuriously soft plush that begs to be touched and squeezed. Curl up with the stuffed fruit on a lazy morning, at the end of a long day, or anytime you need cozy comfort. The Avocado is immensely huggable… and just plain immense! Measuring a foot in diameter, it’s the perfect size to wrap your arms around for a big ol’ hug. Plus the fuzzy (in a good way) fruit is balanced so it stands upright when you want to show off your new produce pal. Don’t worry, you’re not paying by the pound. If you have an appetite for cute but aren’t sure you have room for a heaping helping, the Avo family has other sizes on the menu. 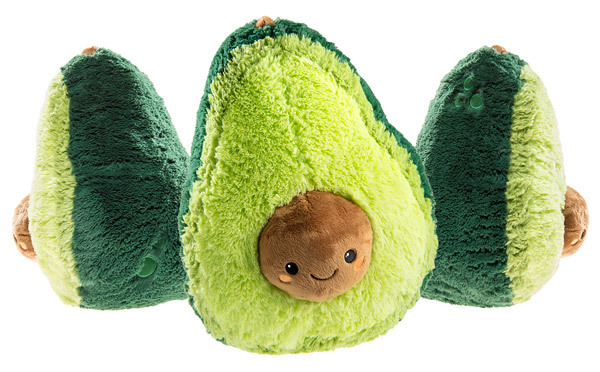 The mini Avocado fits all the charm of the large stuffed animal into a toy that can be held in one hand. All sizes have been thoroughly hug-tested. If you’re looking for an adorable fruit to take with you through the day, grab a keychain Avocado. 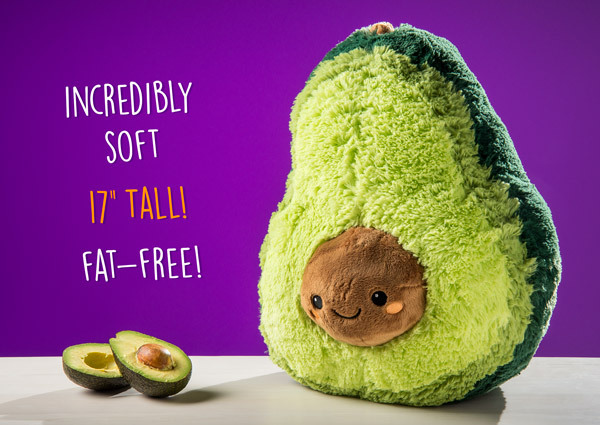 With a size similar to a real avocado, this lil’ cutie comes with a plastic clip, unlike a real avocado, so you can attach it to your backpack, purse, or whatever! Find the plush portion that fits your needs and know that no matter your choice, you’ll get a soft pal for hugging and more. More portable, but just as squishable. It turns out that anything can be cute if you make it into an Avo. 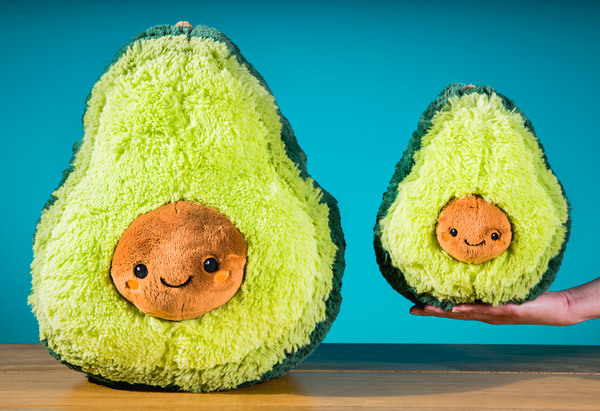 The Avocado Squishable’s huggable shape is accented with a simple, adorable smile on the pit that protrudes from the fruit. For a touch of realism, the dark green skin is decorated with five light green spots and a brown stem. The one time you want fuzz on your fruit. Question: Is the pit removable? Answer: The pit in the Avocado is not removable.